Dr. Surya N. Mundluru is a Pediatric Orthopedic Surgeon in the UTHealth System as well as an Assistant Professor in the Department of Orthopedic Surgery at McGovern Medical School at the University of Texas Health Science Center at Houston (UTHealth). He began his career with an undergraduate degree and medical school education at the competitive 6 year combined B.A. and MD program at the University of Missouri Kansas-City. 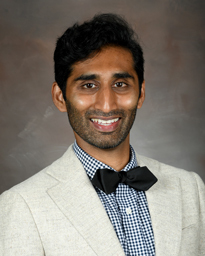 Upon graduation, he started his medical journey in the Department of Internal Medicine and Department of Pediatrics at the Hospital of University of Pennsylvania and Children’s Hospital of Philadelphia training programs. During his experiences there, he developed a love for pediatric orthopedic treatment and care and went on to pursue additional training at NYU Langone Hospital for Joint Diseases in Orthopedic Surgery. Upon the completion of his training, he went on to attain the prestigious Dorothy and Bryant Edwards Fellowship in Pediatric Orthopedics and Scoliosis at the Texas Scottish Rite Hospital for Children in Dallas. Dr. Mundluru has effectively obtained board certifications in both General Pediatrics and Internal Medicine before following an Orthopedic Surgery and Fellowship specialization in Pediatric Orthopedics. In addition, he has successfully accomplished the American Board of Orthopedic Surgeons Part 1 Certification. His clinical interests range from limb reconstruction and complex congenital malformations, pediatric trauma, sports, cerebral palsy, early onset and adolescent spinal deformities, and pediatric foot deformity.